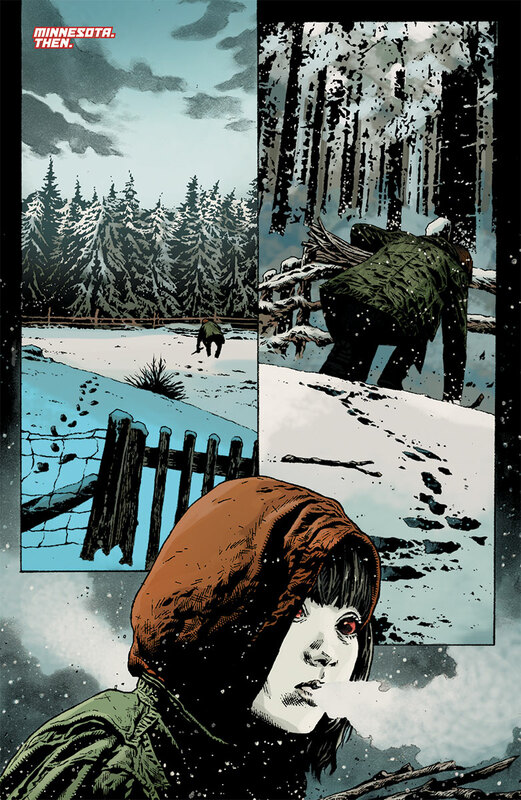 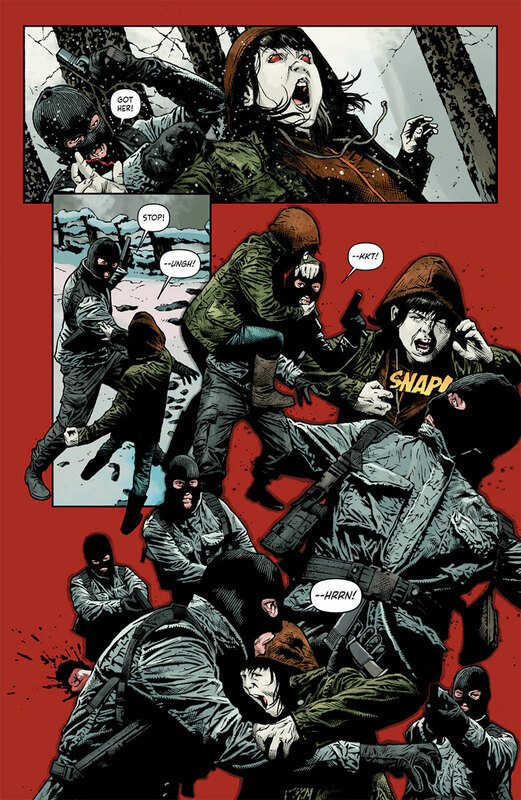 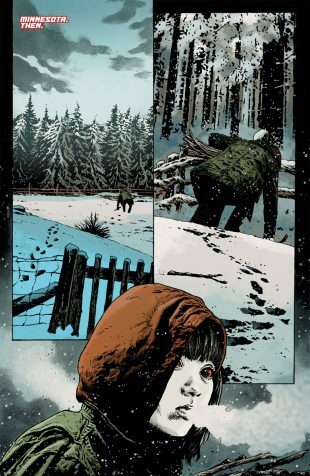 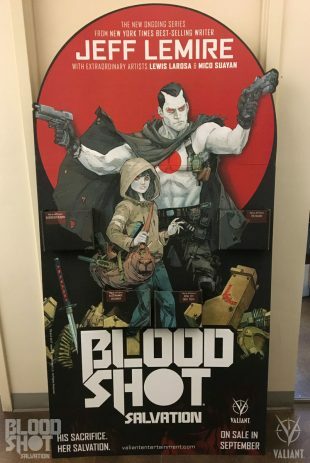 Valiant is proud to unveil an astonishing lineup of free promotional items coming soon to comic shops for BLOODSHOT SALVATION #1 – the FIRST ISSUE of the BLOCKBUSTER ONGOING SERIES from New York Times best-selling writer Jeff Lemire (BLOODSHOT REBORN, Black Hammer) and explosive artists Lewis LaRosa (BLOODSHOT REBORN, SAVAGE) and Mico Suayan (BLOODSHOT REBORN)! Increase BLOODSHOT SALVATION #1’s footprint in local comic shops with this towering, 3×6-foot standee featuring the artwork of superstar artist Kenneth Rocafort. Available to qualifying retailers upon request. 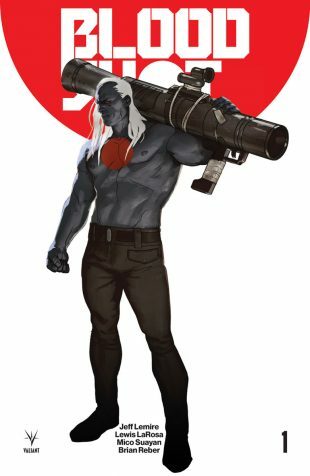 Get ready for September’s BLOODSHOT SALVATION #1, November’s NINJA-K #1, and December’s QUANTUM AND WOODY! 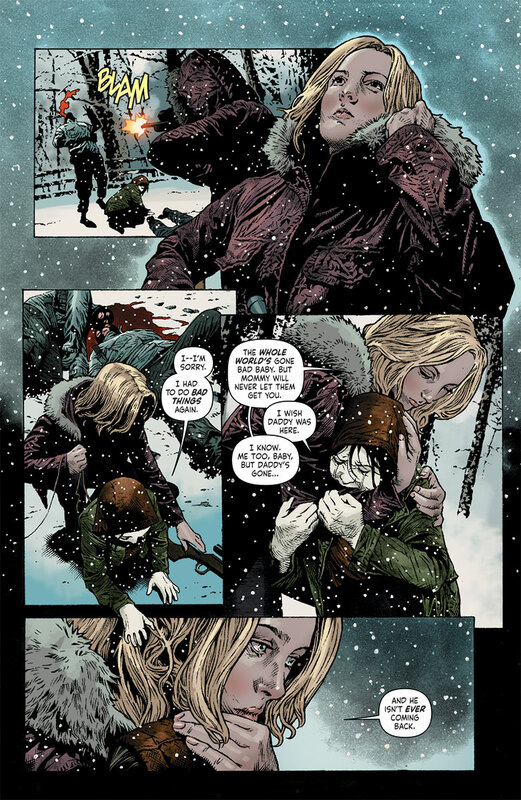 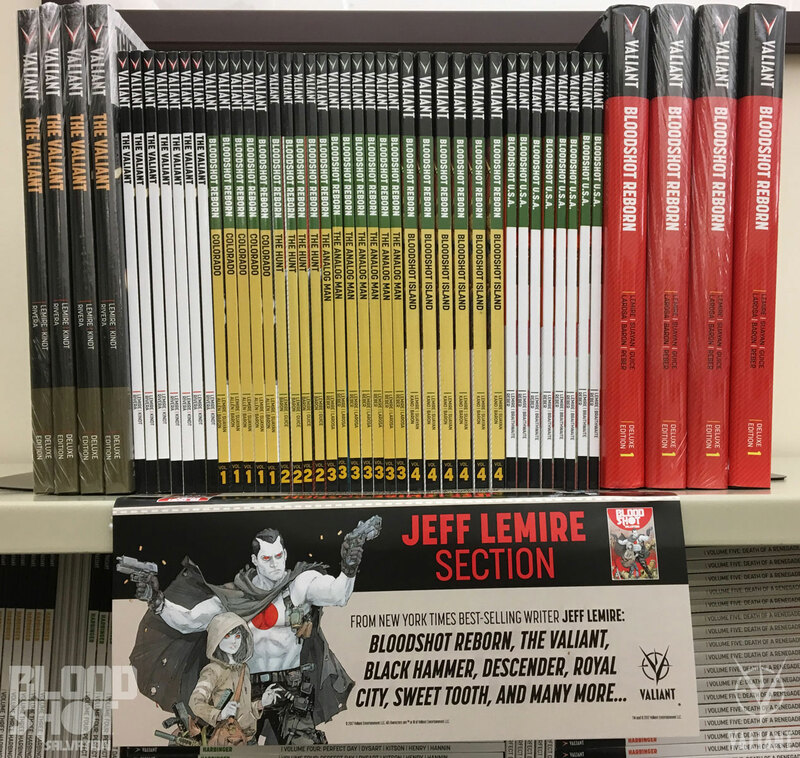 (2017) #1 with these full-color, 24×36″ spotlighting Valiant’s biggest ongoing series of the fall and winter! 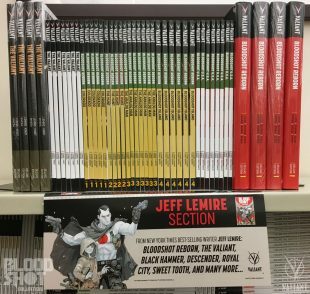 Spotlight the many works of BLOODSHOT SALVATION’s superstar and New York Times best-selling writer Jeff Lemire in your store with this custom-made signage that can transform any shelf into a one-stop destination for Valiant titles like BLOODSHOT REBORN and THE VALIANT, as well as Black Hammer, Descender, Essex County, Sweet Tooth, and dozens more! 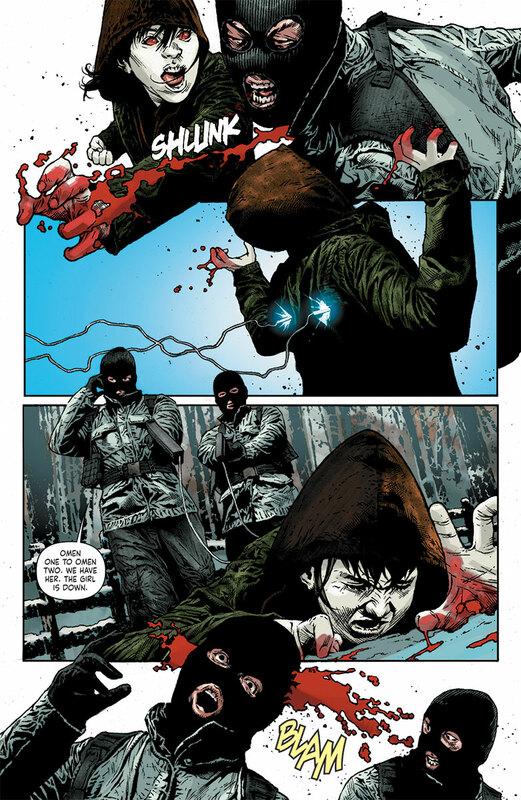 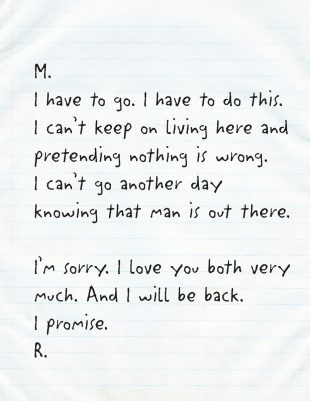 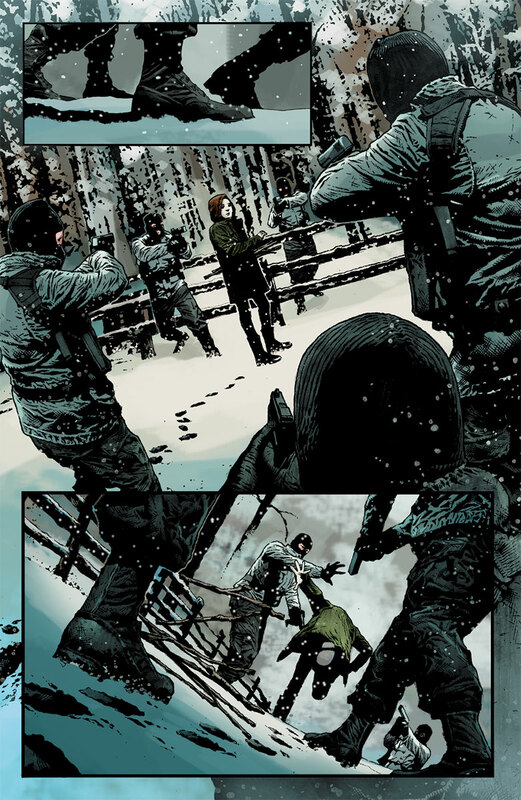 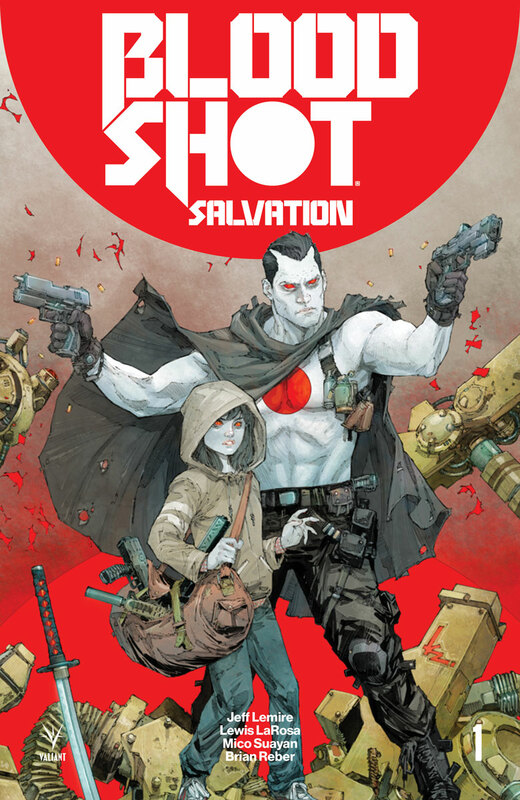 Go inside the story and find out everything you need to know about Bloodshot’s gut-wrenching journey into retribution and revenge with a copy of Ray Garrison’s letter to Magic, written in Bloodshot’s own hand and torn from the pages of BLOODSHOT SALVATION #1! 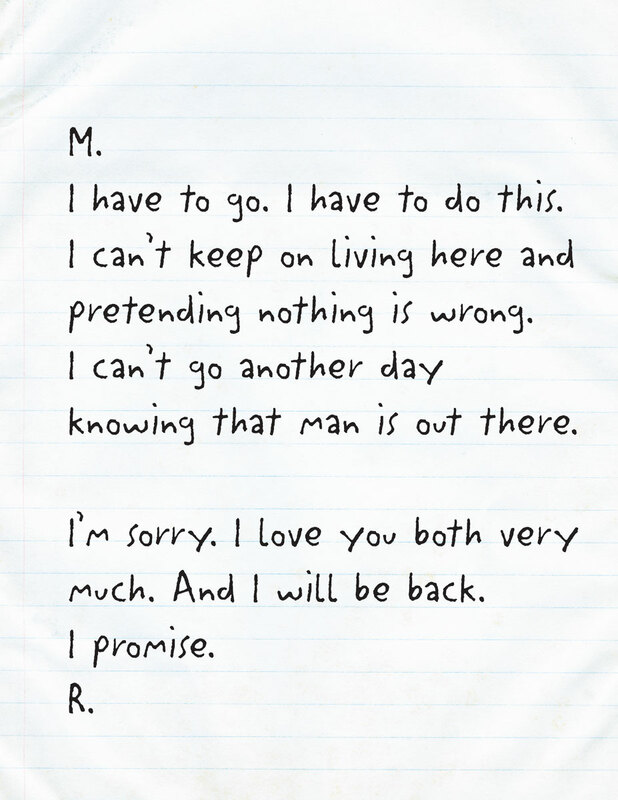 Order codes and solicit information included on the reverse side. 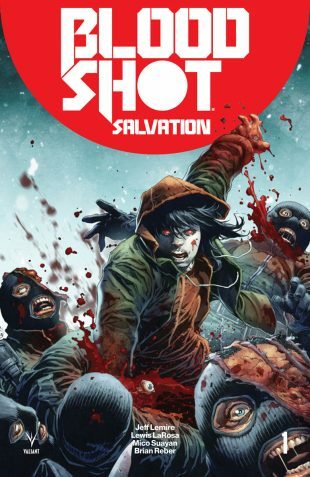 Make sure you and your store never miss an issue of the fall’s most anticipated new series with this custom-designed shelf-talker highlighting BLOODSHOT SALVATION #1’s spot on the racks! 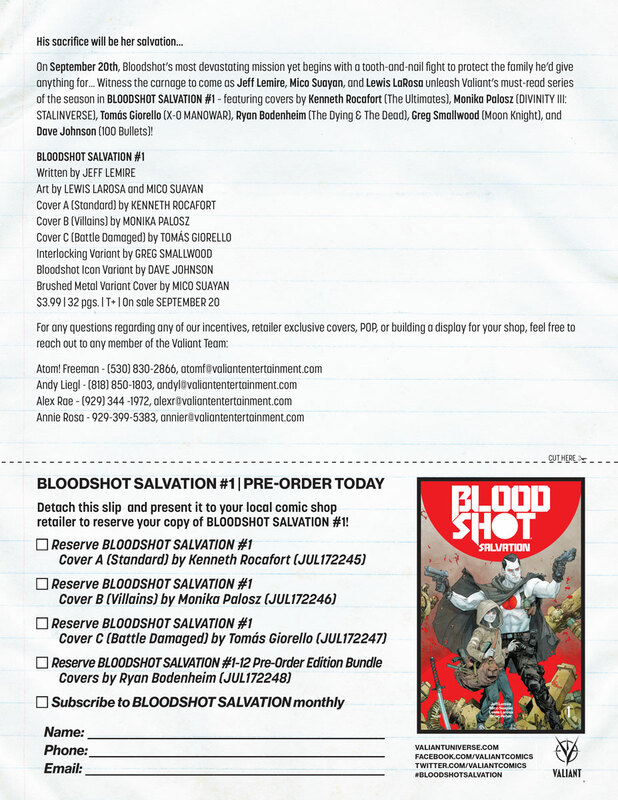 Please contact sales@valiantentertainment.com for more details on each of these exclusive promotional items. On September 20th, Bloodshot’s most devastating mission yet begins with a tooth-and-nail fight to protect the family he’d give anything for… Give into vengeance as Jeff Lemire, Mico Suayan, and Lewis LaRosa unleash Valiant’s must-read series of the fall in BLOODSHOT SALVATION #1 – featuring covers by Kenneth Rocafort (The Ultimates), Monika Palosz (DIVINITY III: STALINVERSE), Tomas Giorello (X-O MANOWAR), Ryan Bodenheim (The Dying & The Dead), Greg Smallwood (Moon Knight), and Dave Johnson (100 Bullets)!